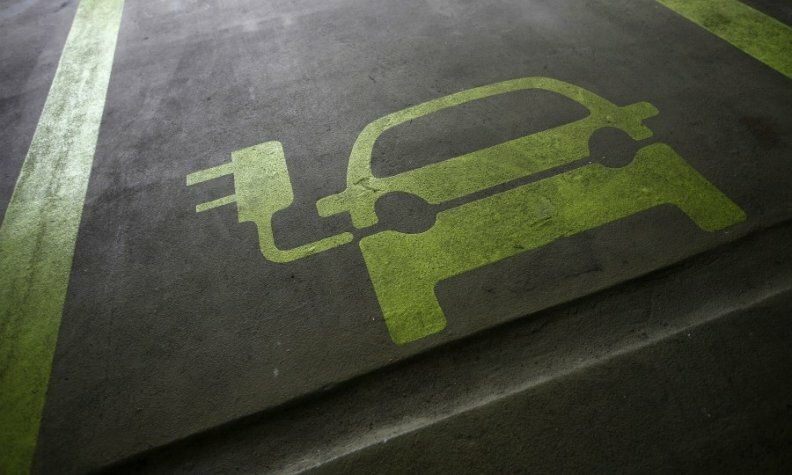 BEIJING -- China is discussing a plan to allow foreign carmakers to set up wholly owned electric-vehicle businesses in its free-trade zones in a major revision of a fundamental principle governing the country's auto industry policy since the 1990s, according to company officials briefed on the matter. The plan, which is subject to change as a final decision hasn't been made, could be put in place as early as next year, the people said, asking not to be identified as the deliberations are private. If the policy takes effect, it would be a landmark departure from the existing rules, which require foreign automakers to set up joint ventures with local counterparts. A relaxation of the joint venture rule would give companies like Tesla the opportunity to set up fully owned manufacturing operations in China, the world's biggest market for EVs. Ford Motor is exploring setting up a joint venture to produce electric vehicles in China with Anhui Zotye Automobile while Volkswagen Group has partnered with Anhui Jianghuai Automobile Group to make electric cars. VW welcomes any liberalization of markets, in principle, a company spokesman said. No changes are being made to the automaker's existing joint ventures or agreements in China, he said. Said Deep, a Ford spokesman, said it was too early to speculate on the potential policy change. Representatives for BMW Group, Daimler, General Motors and Tesla declined to comment. China's Ministry of Commerce, which is responsible for formulating policy governing foreign direct investments, said it will "actively implement the opening up of the new-energy manufacturing sector to foreigners, together with other departments under the direction of the State Council." The ministry also referred to a notice issued in August by the State Council, or cabinet, in which it directed government agencies to broaden foreign investor access to areas including new-energy vehicle manufacturing. Earlier this month, China put the automotive industry on notice by becoming the latest and largest country to seek a phase-out of fossil-fuel powered vehicles, a move sure to accelerate a global shift toward EV development. The Chinese government is working with regulators on setting a deadline for ending production and sales of internal-combustion vehicles, said Xin Guobin, the vice minister of industry and information technology. China has been gradually opening up access to foreign auto manufacturers in free-trade zones. Foreign companies were allowed to set up 100 percent-owned motorcycle and battery manufacturing operations in China beginning in July 2016. "We believe the time has come for China to eliminate its joint venture requirement across the board -- across all auto manufacturing options, including but not limited to electric vehicles -- as well as open the entire country to wholly foreign-owned ventures," Jeremie Waterman, president of the China Center at the U.S. Chamber of Commerce, said on Tuesday. "We are encouraged by any discussion of market opening," Waterman said, "But we hope future openings in autos will reflect the same level of unencumbered access that Chinese companies enjoy in the United States, Europe and other key markets across all auto manufacturing options." The so-called 50-50 rule for Sino-foreign joint ventures was introduced in 1994 to ensure that China's then-fledgling auto industry could benefit from technology transfer by jointly operating factories with global auto companies such as VW and GM. A report released by the U.S. Chamber of Commerce earlier this year laid out some challenges the existing rules create. Joint venture requirements in China "either block opportunities for foreign companies to operate in the market, or, in some cases, create a de facto technology transfer requirement to the Chinese partner as a pre-condition for market access." Xu Shaoshi, then-chairman of the National Development and Reform Commission, said in June 2016 that the government was looking into lifting the 50 percent ownership cap. The policy has been criticized in recent years for shielding state-owned companies from competition and having to build their own brands. Supporters of the rule say it gives China's automakers a chance to build enough scale and develop technology capable of withstanding global competition. Tesla, led by CEO Elon Musk, said in June that it was working with the Shanghai government to explore local production. Shanghai has one of the 11 free-trade zones in China. The others are in provinces including Fujian, Guangdong and Zhejiang. Even as a rising wave of governments and automakers get behind EVs, Toyota President Akio Toyoda said Tuesday that hybrid technology will remain central to his company's strategy. "With hybrid technology at the center, Toyota will offer fuel-cell vehicles, plug-in hybrids, gasoline cars, and -- although we're a little bit late -- electric vehicles," Toyoda told reporters. "We're not thinking about deciding that now it must be EVs, and we'll only do EVs." Battery-powered cars and plug-in hybrids may make up more than half of vehicles sold globally by 2040, according to Bloomberg New Energy Finance.